Let's face it. Most conservation practitioners would rather spend the next dollar raised on reducing threats than monitoring the effectiveness of their actions. Not surprisingly, few have ever attempted to gather scientifically credible data on any of the numerous exhaustive lists of indicators. Gathering even baselines for such lists is costly and few conservationists have the financial resources to repeat data collection over time to establish trends. To evaluate the status of target wildlife, we keep track of the area they occupy over time within a landscape or seascape. Photo ©Mike Kock. Is there an alternative to all this indicator overload? The arrival of 6th IUCN World Parks Congress, which opened this week in Sydney, presents an opportune time to talk about how we might credibly and affordably measure and report our conservation progress in national, state and community protected areas. In the last decade there has been a proliferation of well-meaning attempts to identify what indicators we should use to measure what we manage. Sadly most of these lists aspire to be exhaustive rather than practical and affordable. What if there were a parsimonious set of measures that all or almost all terrestrial and aquatic field-based, conservation projects could track over time to understand and report the effectiveness of their conservation actions? Relying on the sage advice of field scientists and conservation peers, WCS (Wildlife Conservation Society) has identified a small set of five measures that reflect both desired conservation outcomes and core conservation strategies. These measures use industry standard best practices and can be monitored in an affordable but credible manner at a practical scale and with the frequency necessary to influence conservation actions. Relying on the sage advice of field scientists and conservation peers, WCS has identified a small set of five measures that reflect both desired conservation outcomes and core conservation strategies. 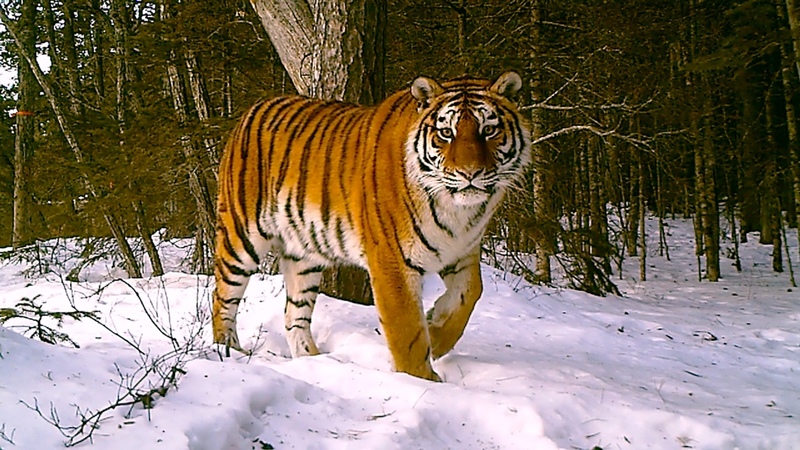 Photo ©WCS Russia Program. Importantly, these five measures reflect the desired impacts (wildlife and habitat conservation), desired outcomes of our conservation actions (reduced threats), and the strategies we often deploy to effect conservation (better law enforcement, stronger governance, and more secure livelihoods). To evaluate the status of target wildlife, we keep track of the area they occupy over time within a landscape or seascape. Constant or expanding occupancy is a sign of conservation success. We choose occupancy because it is: 1) scientifically defensible; 2) can incorporate data from various sources (e.g., aerial surveys, walking transects, camera traps, diver surveys, sightings by park staff); and 3) generates easily visualized and interpreted results. To monitor the extent and condition of forest and grassland in terrestrial landscapes, we use high-resolution global satellite images that are updated annually and freely available on the internet. For coastal reef seascapes we rely on the same diver survey methods that are used to keep track of reef-dependent wildlife species. 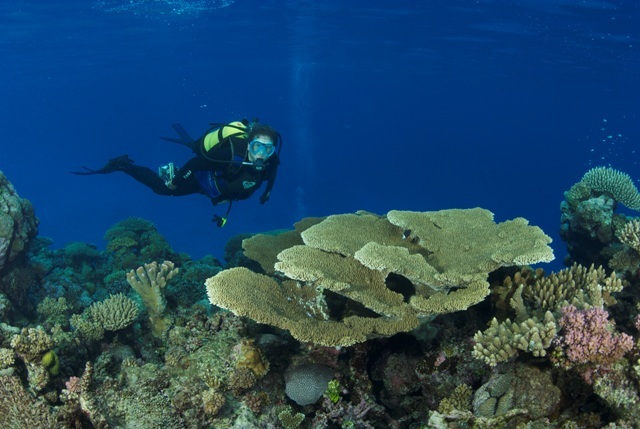 For coastal reef seascapes we rely on the same diver survey methods that are used to keep track of reef-dependent wildlife species. Photo ©Lill Haugen. To measure threats on the ground, the conservation community has increasingly begun to deploy standardized data collection during park ranger or community eco-guard patrols. Recently a consortium of conservation NGOs developed the SMART (Spatial Monitoring and Reporting Tool) approach to standardize patrol planning and reporting. Using SMART we generate the evidence that targeted patrol effort reduces direct threats to wildlife and their habitat. Helping people to manage their natural resources is central to conservation. We have identified three core predictors of good governance: 1) the jurisdiction/authority of governance groups; 2) the skills and knowledge of governance groups, as well as their resources and motivation to make and enforce rules; and 3) the power of governance groups to exert legitimate authority and not be undermined by other less legitimate but more politically or economically powerful actors. 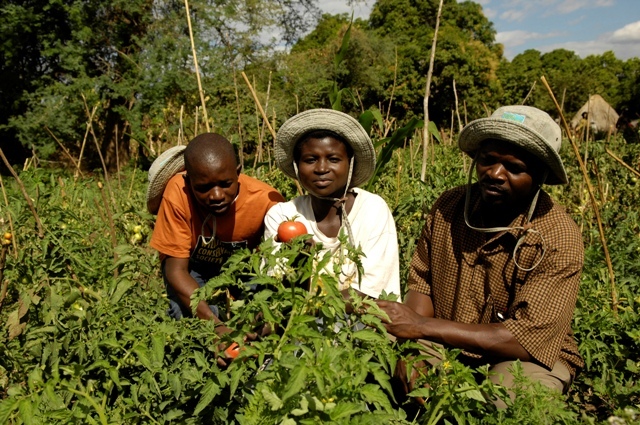 Conservationists typically care about the wellbeing of local people for 3 reasons: 1) focusing on local livelihoods provides economic incentives for families to engage in conservation practices (a means to an end); 2) the economic security of local families is a desired outcome of conservation (when conservation leads to better livelihoods, we create a virtuous circle of sustainable nature management); and 3) conservationists share with doctors a moral obligation to first do no harm. The economic security of local families is a desired outcome of conservation. 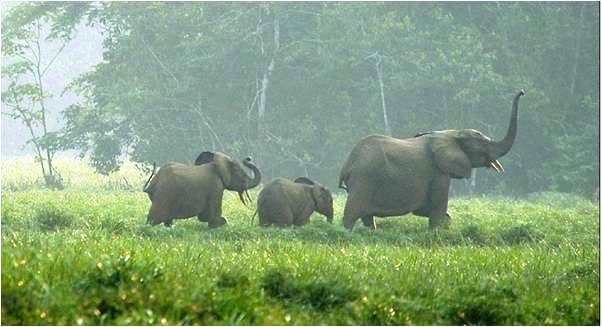 When conservation leads to better livelihoods, we create a virtuous circle of sustainable nature management. Photo by Julie Larsen Maher ©WCS. We monitor livelihoods over time by keeping track of which families do and do not have access to the basic goods and services that local people themselves say are necessities that every family should have and none should live without. This Basic Necessities Survey is easy and inexpensive to do, and generates reliable information on how conservation positively or negatively influences family well-being. With these five measures we can record and report the status of species and their habitat, the level of threats they face, the quality of natural resources governance, and the impact of conservation practice on local livelihoods. Most importantly we can afford to do these things repeatedly. By showing trends in these measures over time we can credibly demonstrate the impact of our field conservation investments. Interest by donors in these five measures is growing and the USAID-Government of Norway funded Central Africa Regional Program for the Environment (CARPE) is already requiring their WCS, WWF, AWF, and CI NGO partners to use these to monitor and report their conservation progress over the next five years. As we gather to consider the fate of our parks and wild places, that is surely cause for cheer.